Amanda Lockwood gets more than she bargained for when she’s elected Two-Time Texas’s first female sheriff. Anxious to prove herself, she sets out to stop crime in its tracks—taking down wanted man Rick Barrett in the process. But there’s something special about the charming outlaw. Common sense says he must be guilty…but her heart keeps telling her otherwise. So what’s a sheriff to do? Gather an all-female posse and ride to save the day. Things sure don’t look good for Rick. If he doesn’t convince the pretty sheriff to let him go, he’ll soon be pushing up daisies. But his plan to woo her to his side backfires when he’s the one who falls head over heels. Now he must choose between freedom or saving the woman he loves…and the clock is ticking. 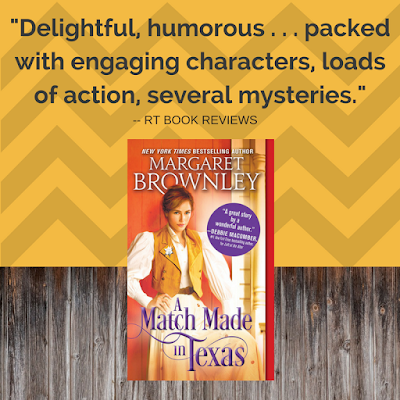 Who knew A Match Made in Texas could be such sweet, clean, madcap fun? Add A Match Made in Texas on Goodreads. Bestselling author Margaret Brownley has penned more than forty novels and novellas. 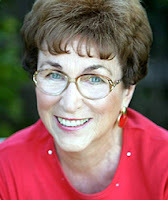 Her books have won numerous awards, including Readers’ Choice and Award of Excellence. 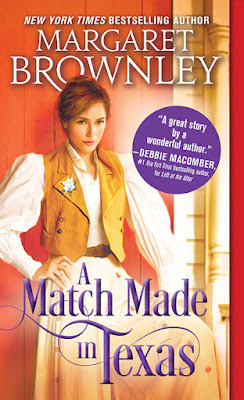 She’s a former Romance Writers of American RITA® finalist and has written for a TV soap. She is currently working on a new series. Not bad for someone who flunked eighth grade English. Just don’t ask her to diagram a sentence.